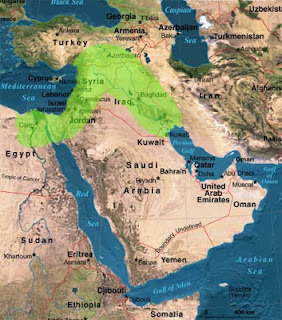 Section 1 for Where the History Comes From: Middle East and North Africa. In addition to the general history books I just received, I am going to ask around (aka ask you!) and do some research myself on books/documentaries/radio shows/museum exhibits/cultural events that I can leverage to get a rich learning experience. The first one I received is Warriors of God: Richard the Lionheart and Saladin in the Third Crusade . If you know of any good sources or events please comment!!! My books came today!!! So I can get started on the Where the History Comes From (part of my 30/30). I will have to strategize the process as I want to focus on one region at a time but yet also want to have some kind of chronological thread to tie things together. Basically I will have to just roll with it and figure out what makes sense. But they are here so I can get started!!!! PPS - Doesn't Ira have something to say about this phenomenon?? I think I just made a guy throw up in his mouth a little bit and not in a good way. I was waiting for the toilet (I know it is base and crude and awful but that's what they say here) and eventually the guy in there walked out and took a seat. I went in and noticed a bag on the floor indicating a freshly-picked Apple product. Smaller than a breadbox, heavier than a pound of butter the only obvious thing it could be was a brand spanking new iPad. I took it out to him and when he realized he left it in the toilet (again, not the actual toilet) he lost his breath a little. I felt in a way that I had hurt him by returning it; so panicked was his reaction. It's like those times you freak out and get anxious about what could have possibly happened but aren't quite to the point where you can tell yourself, "wait self, my iPad wasn't stolen from the bathroom where I accidentally left it, I do, in fact, have in my hand the £500+ piece of equipment I purchased no less than an hour ago." "The influence which the bigotry of one female,  the petulance of another,  and the cabals of a third,  had in the contemporary policy, ferments, and pacifications, of a considerable part of Europe, are topics that have been too often descanted upon not to be generally known."